This month’s volunteer for the Friday Kitchen Concert is Erin Ivey – we look forward to having her come share her songs at the Community Kitchen. In case anyone other than my mom noticed, yes we have been rather slack on the web site updates for a few months. Sincere apologies to anyone who missed the latest tour updates, CD recommends etc. I got married and moved earlier this year thus the missing months. The roster was very busy over the summer, so I was too. Okay, Mom? You can stop worrying now. Friday Kitchen Concerts have been ongoing. Idgy Vaughn was our August volunteer, Mo Pair was the September volunteer, and Melissa Greener is signed up to volunteer this month. Hip hip hooray for these terrific musicians who volunteer! We really appreciate you! Lots of touring this month – mainly on the west coast where you will find Ana Egge, Matt the Electrician, Michael Fracasso and AJ Roach. Eric Hisaw tours the UK for the first time early October – see individual listings for more information and dates in other parts of the country. Touring highlights: Michael Fracasso continues to support his new record and will be touring on the east coast and midwest – check out his web site for more details. Ana Egge will be in the UK supporting the Be Good Tanyas of a few dates and playing London, Coventry, Newcastle and Twickenham on her own dates – see her site for more information. This month’s Friday Kitchen Concert will be Graham Weber. We are looking forward to his performance! Sorry to be late with the news this month. Offices, computers and kitty cats have been moving around – it’s been complicated to say the least! Thank everyone for their patience this month. A big thank you to Rayne Grant for her beautiful voice and songs touching the hearts of all the folks eating their lunch at the Caritas Community Kitchen one Friday late this month. You were terrific Rayne! More new records… Michael Fracasso releases his 7th record this month. It’s terrific, so go and get yourself a copy today. Also, Beaver Nelson and Michael Fracasso hit the road on separate tours and in support of their new records. Check out the tour page for more information. Our office will be closed May 25-June 1, please email/call before or after those dates. This month’s Friday Kitchen Concert volunteer is Shotgun Party. Thanks Jenny! We are very happy to announce adding Austin/San Francisco band Monahans to the roster. We loved their SXSW shows and can’t wait to hear more! Their new record will be released in June. Thanks to everyone who played SXSF at Caritas last month – we had such a good time, and the music was the best yet! Also, thanks to the roster for playing the SXSF benefit concert and for all of you who attended this show and made donations for the Caritas Food Services Programs. We raised more money this year than we have before. Thank you, thank you, thank you!! Matt the Electrician hits the road for a three week tour the first week of April. He will be heading west and playing shows in AZ, CA, OR, WA, ID, UT, CO. We hope you can go see Matt and the band as they go out in support of Matt’s new record. Speaking of new records, Matt the Electrician, Nathan Hamilton have just released new ones, and Beaver Nelson releases his this month. We hope you can go out and buy each and every one of them! This month’s Friday Kitchen Concert volunteer is LZ Love – thanks to her agent Roger for setting up the date. check out our press release…. South By Soup Fest Benefit Concert – The six and half hour party raises money for the Caritas of Austin Food Services programs, specifically the Caritas Community Kitchen. 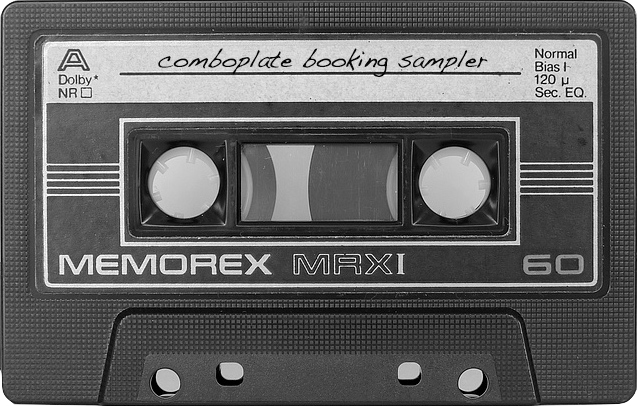 The event is hosted and promoted by ComboPlate Booking. Free and open to the public, live music will be provided by the artists on the ComboPlate Booking roster. Money will be raised by raffling off CDs from the artists and all band tips will go the Food Services programs. Gift certificates from local restaurants, coffeehouses and businesses will also be raffled with all proceeds also going to Caritas (Opal Divines, Iguana Grill, Gueros, Ginger Man, Flipnotics, Jo’s Coffee, The Soup Peddler, Austin Therapeutic Massage, Cafe Caffeine, Moxie and the Compound, Yoga with Eleanor, The Miller Tells Her Tale). Austinites who would like to help fight hunger in Austin – and hear some great live music while they are doing it – are encouraged to come to Gueros on March 14th. Not open to the public, but worth noting, ComboPlate Booking will also present a 3 day musical showcase this week, South By Soup Fest, exclusively for the clients of the Caritas Community Kitchen. Matt the Electrician will be touring Japan for the first time. Have fun Matt! Laura, Michael Fracasso, AJ Roach, Ana Egge and Nels Andrews will all be attending Folk Alliance this month in Memphis. In addition to having a booth at the trade show (come say hello! ), Laura and Marie w/Rough Neck Music will represent the Rough Combo Collective and be presenting the Folk and Roll Showcase room in the private showcases at the Marriott. In addition to Michael, AJ, Ana and Nels, these artists will also be playing our room: Robby Hecht, Stephen Clair, Will Kimbrough, Tommy Womack, Rough Shop, Jason Ringenburg, Steve Dawson, Jon Dee Graham and Peter Case. We are going to have ourselves some FUN! If you are in Memphis, please come by to the Folk and Roll room, we would love to see you. Don’t forget and mark your calendars NOW… our annual ComboPlate Booking Roster Party will be at Gueros Taco Bar on Wednesday, March 14th. We will be announcing the line-up next month. It’s always great fun and we will be raising money for the Caritas of Austin Community Kitchen once again. Amy Cook is this month’s Friday Kitchen Concert volunteer. We are looking forward to meeting you Amy and hearing your songs. Thank you in advance! Non-gig related roster news is fun this month… Moonlight Towers had their song “Never The Same Again” featured on a recent episode of “Veronica Mars”. Ana Egge will have her song “Motorcycle” on the finale episdoe of MTV’s “I’m with Rolling Stone”. And Elizabeth McQueen has made her directorial debut with a short movie you can see on youtube.com, just search the title “Murder She Rode” – it’s all about being on the road with Asleep at the Wheel…or not! Happy New Year! We are so excited as we’ve heard the new songs…. these artists will be releasing new CDs this year (more or less in order of predicted release dates): Matt The Electrician, A.J. Roach, Nathan Hamilton, Beaver Nelson, Michael Fracasso, Milton Mapes. Ana Egge and Nels Andrews will also have new records this year. We can tell already it’s going to be a great year. So far, Matt The Electrician‘s record is the only one officially available. Go get it!! Nathan Hamilton will be touring The Netherlands the end of this month and going into January. Thank you to Sandra and Luciano for making it possible. Eric Hisaw will be touring the South as will Moonlight Towers, and Ana Egge will be on the West Coast. We hope you can go see them on the road. Steve Power and Tom Cuddy were the Kitchen Concert volunteers this month. Y’all were great!! Thank you so much for contacting us about playing and for bringing so much joy to the Kitchen that day.